SMG, the world leader in venue management, marketing and development, was founded in 1977 with the management of our first facility, the Louisiana Superdome. We soon grew to manage convention centers, exhibition halls and trade centers, arenas, stadiums, performing arts centers, theaters, and specific-use venues such as equestrian centers. SMG’s clients benefit from the company’s depth of resources and its unparalleled expertise, leadership, and creative problem-solving. Our successful growth has been built on the many partnerships, relationships, and resources we have developed with our clients — both municipal and private. This unique combination of resources, relationships, and expertise has allowed SMG to define and refine the industry throughout its history. Our ownership and team of dedicated corporate support personnel make us unrivaled in the field of private facility management. SMG is more than just a management company — they are a true community partner, advocates for Tulsa, and a great asset in growing our convention, tourism, sports, and entertainment business in Tulsa. As industry leaders serving our community, we relentlessly pursue superior experiences for our clients, guests and employees. 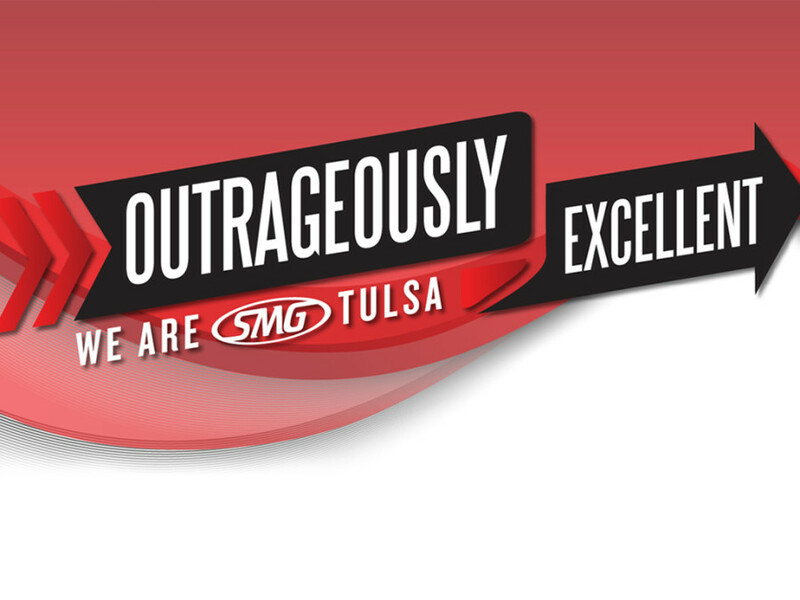 We are SMG Tulsa. Helping our community and making a difference.